The Beatitudes (or "Blessed are" sayings) are perhaps the most recognized and most beloved passage from the Sermon on the Mount, and yet they are among Jesus' most misunderstood teachings. 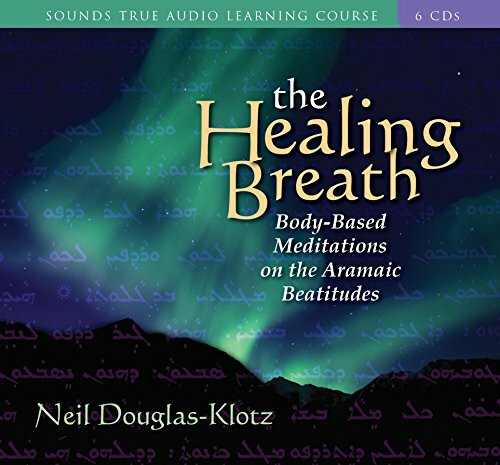 On The Healing Breath, acclaimed teacher and author Neil Douglas-Klotz leads listeners through the Beatitudes as spoken in Jesus' native Aramaic to show how this seemingly simple set of statements reveals a profound source of divine connection. With 12 in-depth sessions including 24 body prayers―authentic meditations of the ancient Middle East that use body awareness, breath, sound, and gentle movement―Douglas-Klotz helps listeners open fully to the transformative power of The Healing Breath. If you have any questions about this product by Brand: Sounds True, Incorporated, contact us by completing and submitting the form below. If you are looking for a specif part number, please include it with your message.